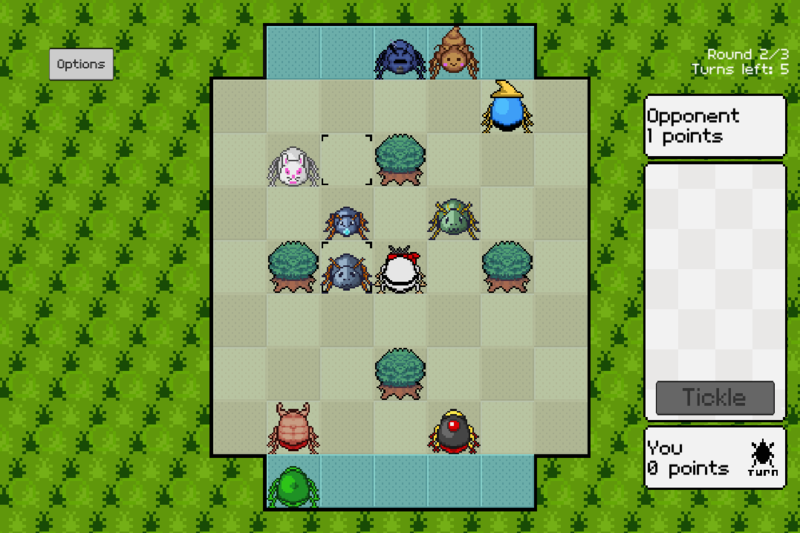 Face off against other beetle fighters in a head-to-head, chess-like battle of wits. Draft a team of five beetles and move them around the board to try and control as many spots adjacent to the trees that produce points. 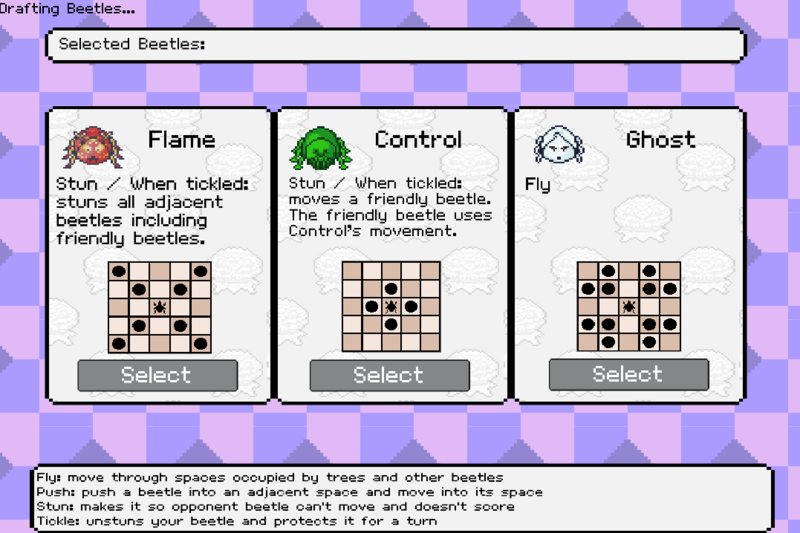 Some beetles can 'fly' over other beetles and obstacles. 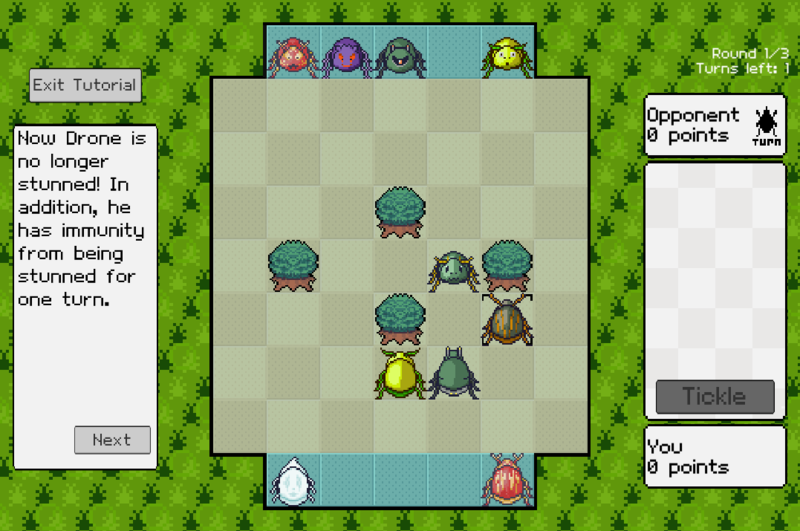 Some can 'push' other beetles out of the way and take their spot. 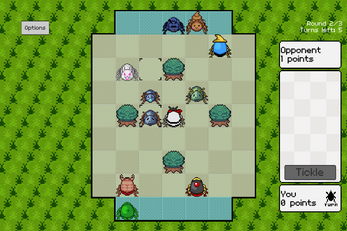 Others can 'stun' opposing beetles; a stunned beetle cannot more or score. 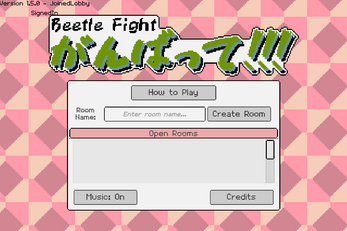 To unstun a beetle, select and tickle it. 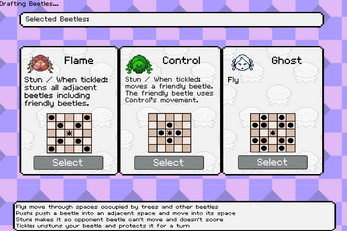 Tickling returns the beetle to its normal state and also protects the beetle from stunning for a turn. 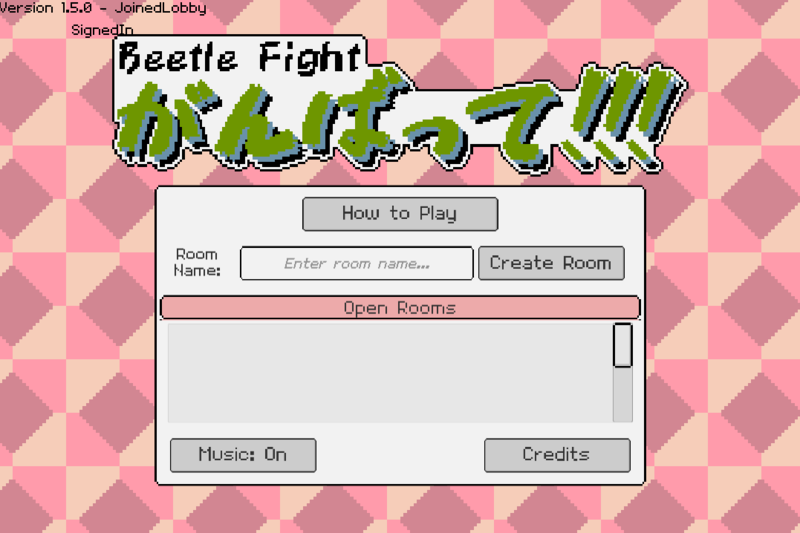 Some beetle even have added affects that trigger when tickled!